Highly acclaimed Canadian-Lithuanian violinist, pedagogue, and chamber musician, Mr. Bankas has performed as a soloist all over the world. In recognition of his musical contributions, he was inducted into the International Knightly Order of St. George and was honoured as an Honorary Doctor of Arts by the Azerbaijan Ministry of Education and the Academy of Fine Arts. 2017-18 season highlights include solo and chamber music performances in the Czech Republic, France, Germany, Italy, and Lithuania. 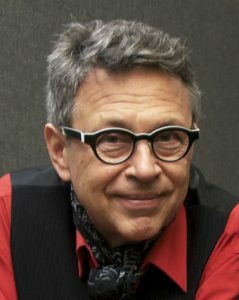 Atis is the Founder and Artistic Director of Music Niagara, a highly regarded annual international summer music festival in Niagara On-the-Lake, Ontario. His solo and chamber music performances have been featured on CJRT, CFMX, CBC, and NPR radio networks.